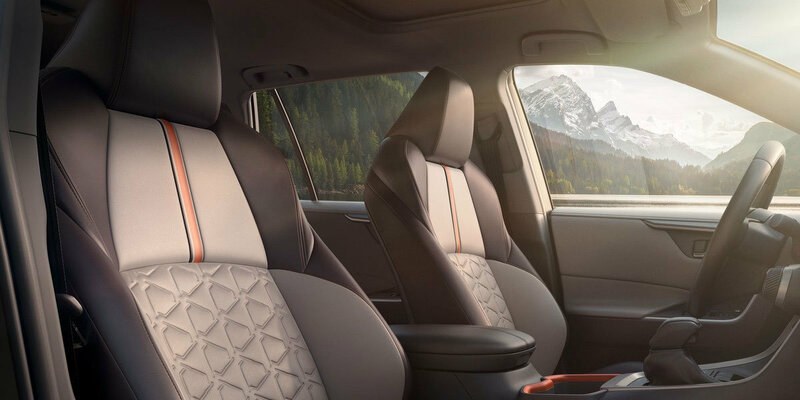 The Toyota RAV4 is the ultimate compact SUV for 2019, furnished with premium materials covering the expanded interior soft-touch surface area and dashboard trim. Digital info and media displays enhance functionality, monitoring and control all system features packed inside a compact SUV body. Expanding your family? The 2019 Toyota RAV4 retains its reputation of being one of the best family cars around, doubling up as a trendy moonlighter for a night out at Parkersburg's Spats Restaurant or catching West Virginia Symphony Orchestra performance. 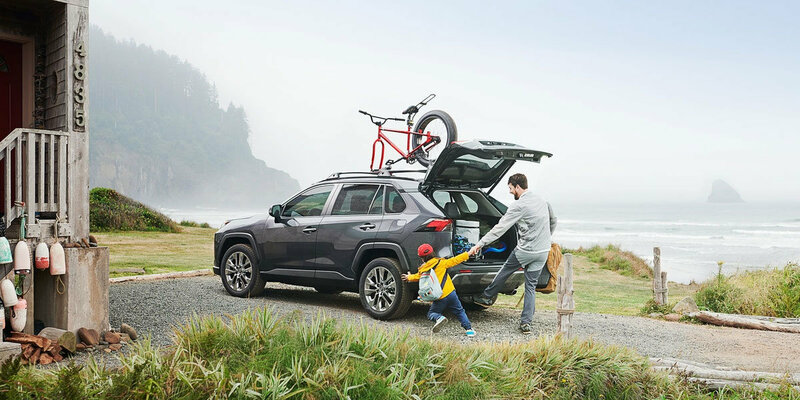 Do it all with the Toyota 2019 Toyota RAV4! Coupled with its refined interior, the 2019 Toyota RAV4 has an extended and wider wheelbase, improving handling and giving it a more sporty appearance. Exterior finishes like modern LED tail lights, flared fenders, and a dual chrome exhaust system, make RAV4 one of the most stylish cars available. Whether you are taking the clan to the Downtown Throwdown BBQ & Brewfest, Mid-Ohio Valley Multi-Cultural Festival, the Toyota RAV4 has you covered. Heading out to the Johnson T. Janes Park Loop Mountain Bike Trail? The RAV4 Adventure Model may be more your taste, with rugged styling and tuning for the off-roader in you. 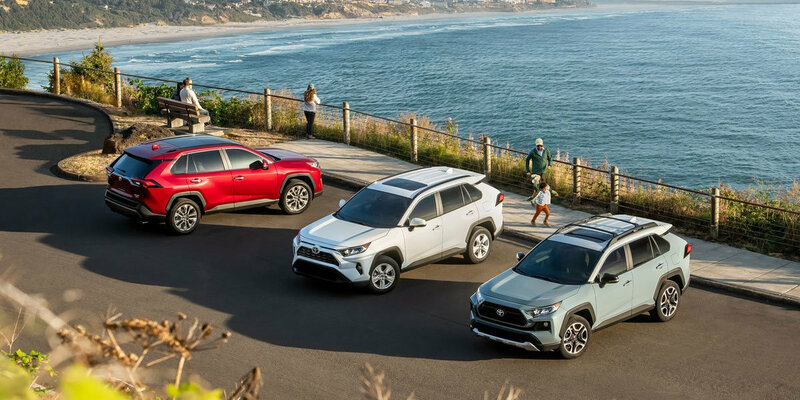 If fuel efficiency is a concern, then the 2019 RAV4 has you covered with a hybrid model that delivers the same quality but in an eco-friendly package. All this performance and style comes with added insurance. 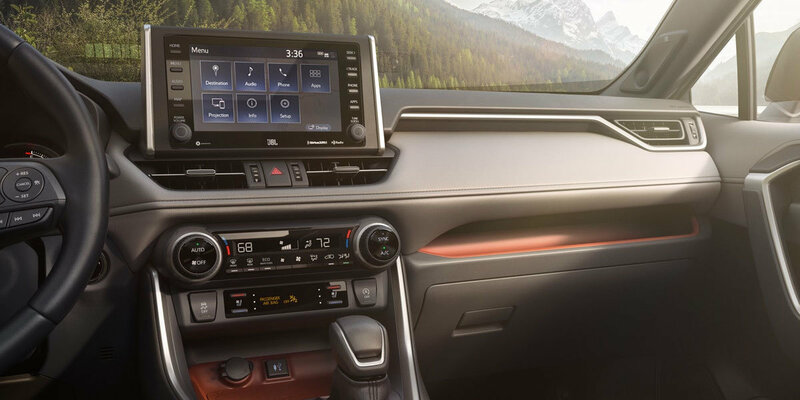 The 2019 Toyota RAV4 comes loaded with the latest tech options and a state-of-the-art safety system, a forward-collision warning system with pedestrian detection, cross-traffic alerts and many more mental comfort inducing options. Give yourself or a loved one the gift of a Toyota RAV! Visit Superior Toyota, your friendly neighborhood Parkersburg, WV Toyota dealership. We servg Parkersburg and all the surrounding areas in West Virginia. Contact us today at 304.424.5122 to book a consultation or drop by to meet one of our qualified sales reps. We have the new Toyota vehicle you want for at a price that suits your budget.